Sometimes we find ourselves in difficult and painful circumstances. We may repeat self-defeating patterns that no amount of positive talk or well-intended interventions seems to change. Or perhaps we find ourselves stuck in conflicted relationships in which the argument never finds true and lasting resolution. In such situations, it can be prudent to examine family patterns or go deeper into fundamental beliefs formed early in life. There may also be unresolved traumas from early life that require expression, processing, and letting go. 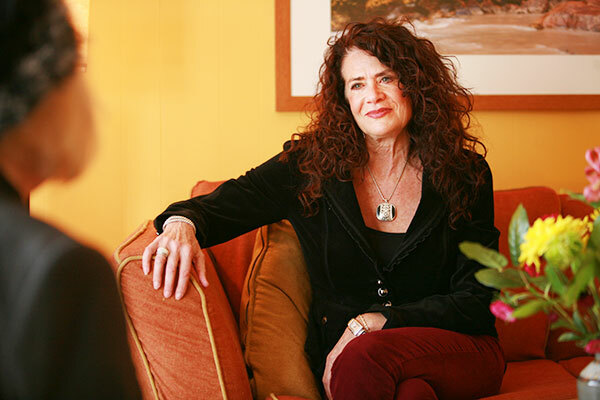 As a psychotherapist and licensed professional counselor in Ashland and Medford, Oregon, Taffy creates a safe, nurturing environment that enhances your wisdom and inner resources. She initiates a dialogue and creates a strong bond to help you heal the broken connections of the past, thus deepening your self-esteem and inner strength.